Welcome to the March Roundup. As ever, if I’ve missed anything out, please let me know so I can make corrections. 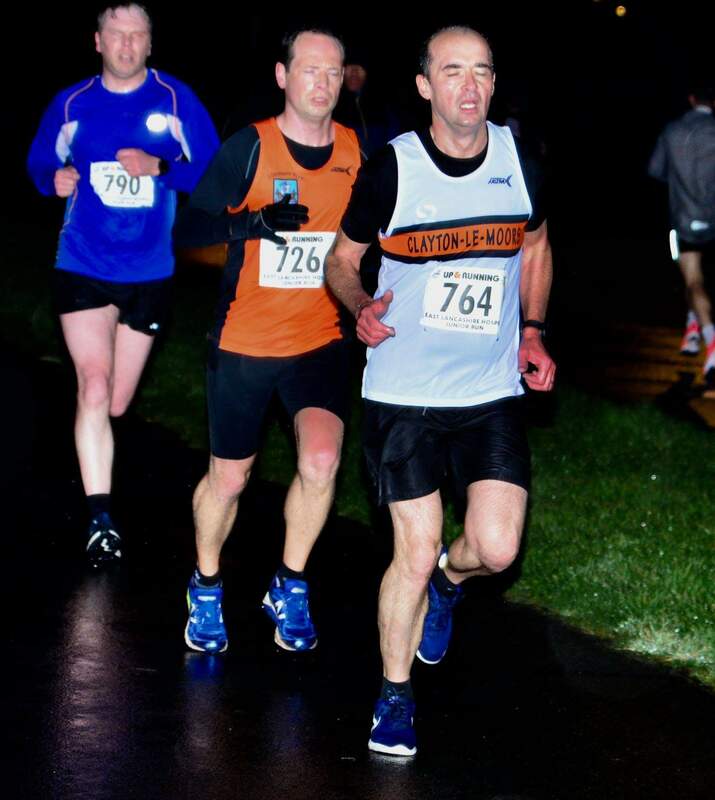 Race reports are desperately needed – you can email these to me – roundup@claytonlemoors.org.uk. It’s been a busy month with the end of the Cross Country Season, and hardly time to pause for breath before the start of the Fell Season. Later in the Roundup you’ll find details of the senior fell training sessions, courtesy of Mark Nutter. The Club’s Junior and Senior Awards Presentation evening was held on 22nd March at Burnley Football Club. 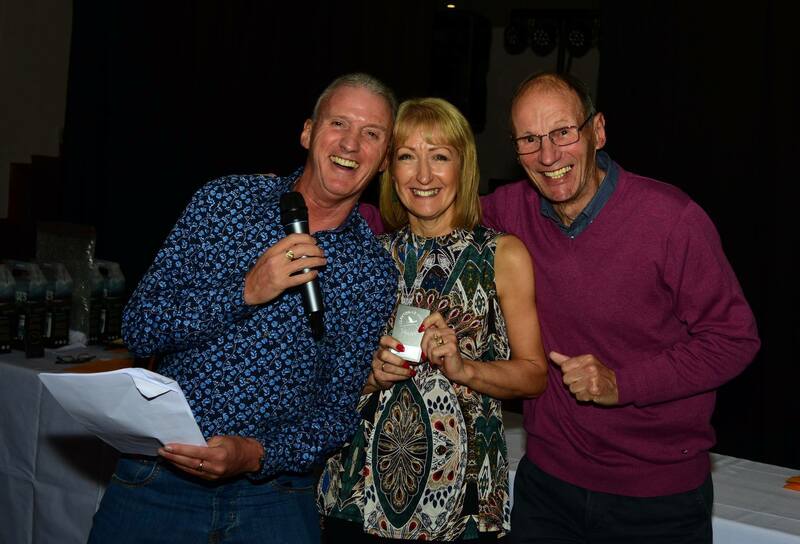 Marion Wilkinson and John Roche were our comperes for the evening, announcing the winners of the awards, which were presented by Club President Dave Scott, with David Belshaw taking photographs. All the prize winners are listed in the programme – Awards Evening 2019. 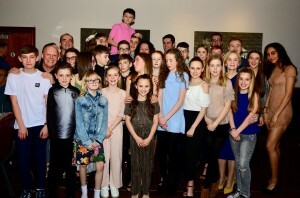 More photos from the evening can be seen on David Belshaw’s running photos page. Now that Summer is coming, from April fell training now moves each month to various venues. There are usually 15-20 runners out each week but we can cater for more. Everyone is welcome, no matter what ability. Everyone stays together and no-one gets left behind (not usually anyway!). If we have sufficient numbers we can split into groups of similar ability – that way everyone gets a good run. The runs take place on exposed fells so you will need to bring with you a bum bag containing waterproof jacket and trousers, hat and gloves. Most runs are about 90 minutes in duration, so a drink and an energy bar might be a good idea too. Post-run refreshments are always enjoyed at a nearby pub. There’s no need to ‘book’ a place – just simply turn up at the venue and be ready to run at 6.30pm. The monthly venues are listed below and on the Clayton website, but if you need further details contact Mark Nutter on 07899 995181. SEPTEMBER 6:30pm Barrowford – meet at public car park adjacent to Old Bridge Inn, Gisburn Road BB9 6AJ. A head torch is required later in the month. * Note that the Summer Series Races are held on 23rd April, 21st May, 30th July and 13th August at these venues. 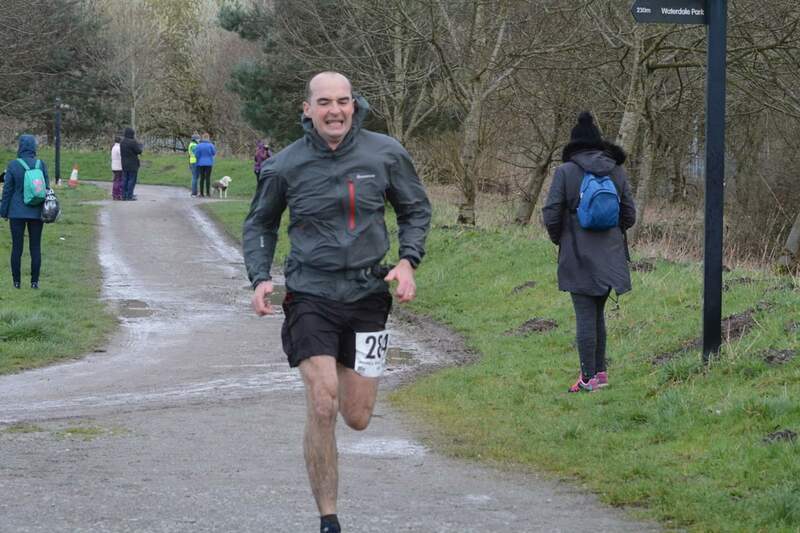 Summer Series of Fell Races – Races with a Difference – Predict Your Time! If you haven’t tried the Summer Series of races then you’re in for a treat! The 2019 Summer Series consists of five Tuesday evening races for members of Clayton-le-Moors Harriers only, with a minimum age of 16 years. As well as the usual prizes, there are prizes in each race for the closest pre-race predicted time to the actual time taken. Watches are only allowed if the time is not visible! A runner’s best three races will count for the overall series prizes. Prizes in each race are usually alcohol or chocolate, with the overall series having printed T-shirts as prizes too. Entry is just £4 per race (£4 for two races on 30th July) and is on the day only. The first race on 23 April from Sabden is the original route of the Witches Clough fell race that was organized by Linda and Peter Lord in the late 1980’s. It featured on ITV’s ‘Treasure Hunt’ where Anneka Rice (in her helicopter) had to find and chase Linda dressed as a witch. This route has not been used since so it promises to be a good start to the Summer Series. As with the Summer Training, there’s no need to book a place – just simply turn up and be ready to run at 6.30pm. Details of the races are listed below (along with a link to the maps) and on the Clayton website, but if you need further details contact Mark Nutter on 07899 995181. 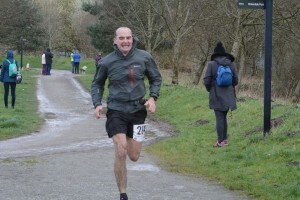 The Northern Athletics 12 stage Road Relay championships were held on Sunday 24th March at a bright and blustery Birkenhead Park. I was last at these relays 2 years ago in Blackpool but this year was my first as Team Captain, the event doesn’t disappoint and is a great experience with a chance to test yourself against some of the best road runners in the north of England. The event consists of 4 x long legs (approx. 8K) and 8 x short legs (approx. 4K). Ryan Bradshaw got us off to a good start on the tough first long leg where it’s very easy to start too fast amongst the mass start. Craig, Matt, Iain and Danny all then put a great shift in on their legs to maintain our position before Jason, James, Gary and Andrew F managed to pick off a couple of teams to move us forward. By now the runners were very well spread out so it can be a lonely run on your leg but Dom and Briscoe managed this to maintain our position and handover to Andy Webster fresh from the Howarth Hobble a couple of weeks back he’d had a long wait for his leg to start but he powered around and picked off another team to finish in 46th place. Today was all about the experience as a majority of the team were either new club members or new to relay racing so I’d like to thank them for stepping out of their comfort zones (some a long way) and put their names forward to have a go, hopefully they all enjoyed the experience and will be there at the NA Autumn Relays in September alongside more team mates who fancy giving it a go. Don’t be shy fellas! The last XC was held at Cuerden Valley early March. What a great turn out for our seniors. The Ladies team battling for silver and bronze placing and the men to stay up in Division 1. Cassie was our first lady back followed closely by Michelle who showed team spirit running in Rachel from Burnley AC who was struggling. Myself, coming in 3rd Clayton lady to make up our A team which finished 5th. Our B team, Lisa Ellis/Irene Roche/Rececca Bradshaw finished a good 16th place. The men had a battle of relegation on their hands. Ryan Bradshaw being our first counter back. The men’s team finished a fantastic 3rd overall. Thank you to those who turned up and ran to help keep our men’s team in league 1!!!! 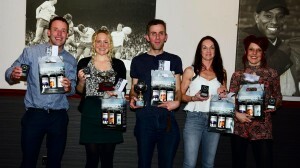 The Mid Lancs season overall has been fantastic. As always there has been blood, sweat, tears (from the men), cheers and cake. A special mention to Helen Harrison, who had never done XC before, improved so much as the season went on. Completed 9 Palladium races and competed (finishing in our A team) at the National XC Champs. Also, Jane Hyland, Sue Allen, Christine Leathley and James Dunderdale who completed all in the Palladium and Tara and Mark our XC Club Champ’s. I really hope you all enjoyed it as much as I did! There were team places and individual series medals up for grabs at the last round of the Mid Lancs Cros-country series at Cuerden at the beginning of the month. It’s a challenging course at Cuerden with lots of short sharp elevation changes meaning the racing is far from flat and fast. Helana White used her climbing legs to good effect to take 2nd in the U13G, and followed up by Amelia Halstead, Sianna Smith and Eleanor Edwards our U13G took a fine 2nd place team on the day which clinched their 3rd place team in the series overall. Coming back from injury, Robbie Smedley continued to build his fitness and took 7th in the U13B. Our U15G team of Ella Dorrington, Imogen Ferguson, Hannah Eccles and Beth Wheatcroft had raced hard all season and were rewarded with 3rd place team in the series after a strong outing at Cuerden. Jackson McKay was 7th in U15B and Nicola Moynihan continued to race well with 4th in U17G followed by Briony Holt in 5th. An individual Mid Lancs series win after a long hard-fought season went to Helana White in U13G whilst Jackson McKay was 5th U15B in the series. Well done to all our Juniors who raced all season long in this, and the Red Rose series – some great team spirit kept the results coming. The English Junior Fell Championships series started this month in the Lakes at a fantastic new venue for fell racing, Clough Head above Threlkeld. This was a proper fell course featuring plenty of steep climbing and for the U17 and U19 runners a tough and technical in places descent from high up on the fell. Sadly there were no Clayton Juniors running in the U9 to U13 categories, but Robbie Smedley (10th boy) and Helana White (3rd girl) both had great runs in their first year at U15 level. Christopher Brown was 18th in U15B with Guy Whalley getting stuck into Lakeland fell racing for the first time in 35th. 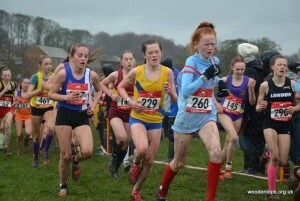 Hannah Eccles was 22nd in the U15G. 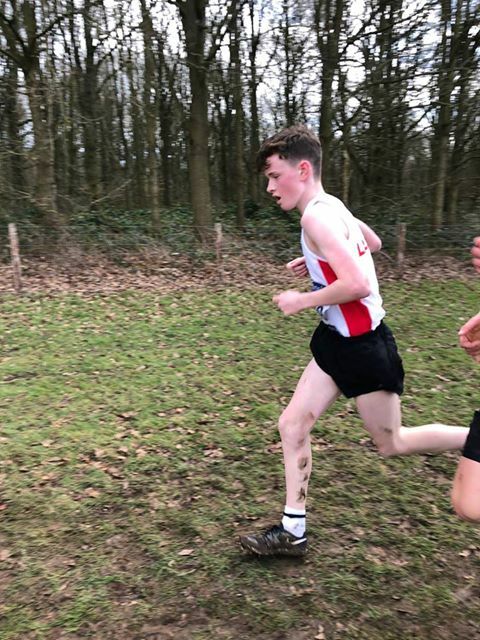 In the U17s, William Nicholl was 24th boy and Ella Dorrington 14th girl both stepping up to courses that were considerably harder than what they would have run at U15 level. Briony Holt climbed fantastically well on the U19 climb that went on and on and descended well too to take 4th in U19G, whilst Charlie Parkinson also had a fine run against some really quick lads to take 9th. A special mention goes to the four Clayton Juniors who were selected to represent Lancashire in the Inter Counties XC Championships – Helana White, Jackson McKay, Nicola Moynihan and Briony Holt. Helana, Nicola and Briony were also selected for the Lancashire Schools team for the English Schools Championships this month – well done to all of them on their well-deserved selection. It was a busy March for the Inter-Counties athletes. 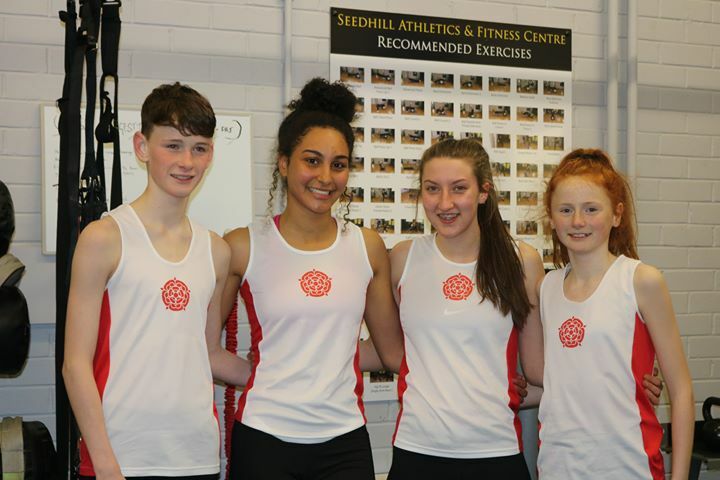 4 Clayton Junior athletes were selected to represent Lancashire, Briony Holt, Nicola Moynihan, Jackson Mackay and Helana White. We arrived to find the club tents were situated outside the main event field, which was disappointing as this left those in the tent feeling left out, and we were less able to cheer team mates on, whilst getting changed but this was outside Lancashire’s control. The day was a complete mixed bag of weather, from dry to very windy with rain thrown in. (Vicky McKay can testify to the wind after coming off worst when a flying tent flattened her, but that is a whole different story). The course is undulating and unforgiving, although it was not the mud bath of the previous year. All 4 athletes had great races, and had great results for Lancashire. Jackson’s race was first up, and he powered round in 71st (3rd Lancashire Counter). Next was Nicola & Briony’s race, and they luckily avoided the mass fall at the start just behind them. Nicola was 99th (3rd Lancashire Counter), Briony, who is only just coming back from injury at Christmas was 173rd. Helana was the last of the Clayton Juniors to race, and came in 16th (1st Lancashire Counter). What stands out for me from this day is the team spirit that Clayton Juniors have. Everyone was checking on each other when they were spotted, yelling for their club mates around the course, running to take photos of each other and congratulating each other at the end. – This teamwork is what makes it such a great club. 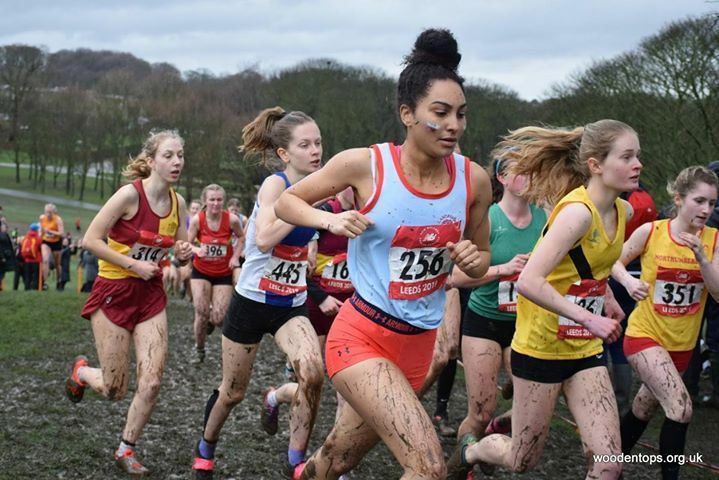 The following week-end was the English Schools Inter-Counties at Leeds, and this time we had two athletes, Helana and Nicola make the team and get on the team bus on the Friday night. This time the race was at Temple Newsam Park, Leeds. Nicola and Helana stayed with the team the night before the race, leaving us parents to travel on our own to watch them on the Saturday. It was a VERY wet day, with more or less constant rain. – The course is great for spectators as it is looped, so you can stand still and see the athletes in several parts of their race. First up was Helana, who had to start at the back of the pen as she qualified in 8th position. This is the first time she was old enough for this race, the team coach told her (and another Year 8 girl), to aim for top 200. – The course suited her, and with typical determination, and wanting to justify her place, she fought her way through to the front of the field, to come in 38th and 3rd Lancashire Counter. This helped the Lancashire Junior Girls team to get 2nd place overall. Nicola had to wait a little longer for her race (more rain and cold ensued). The seniorgirls had a long hard race, with the field now completely churned up, slippy and muddy. Nicola will say that she does not really like mud, and prefers road –but I am not so sure, as she had a cracking race against some top athletes and finished 134th place and 5th Lancashire Counter. Both girls were at the bottom end of this age group – so will stay in the same age groups next year, when others go up. After doing very little in terms of racing in 2018 due to one reason or another, I decided something had to change. January saw me go the whole month without a alcohol. (Something I’ve never managed before). I upped my training include a long run on Sunday’s, followed by treadmill sessions on Monday’s and Friday’s along with my usual training with the SoS group and Clayton Juniors. With the no alcohol rule and more sensible eating I soon shed some of the extra weight I’d gained with my inactivity. I felt much fitter and training became more enjoyable. Next was to choose a couple of races to focus on. First up was the Podium 5k. Sat. 2nd March. I arrived at a very wet and windy Steven Burke track hoping that my training would pay off and a new 5k pb would come my way. I’ve never managed to run under 20.57mins before so I entered the B race and after a good warm I was off. The first mile went great 6.00mins dead (slow down you fool or you’ll blow up). Next mile was more like it 6.30mins. With the wind getting stronger and more encouragement from Marion I tucked in behind another runner and gave it my all until the finish line. Quick glance at the clock and 19.41mins. Got to be happy with that after only 6 weeks training. Still room for improvement. Next up the Irwell Valley 20 miler. Sat. 10th March. Along with my good friend and training partner Gary Moore we booked on the Irwell Valley 20 mile off road race. With both of us never running that kind of distance before this was definitely going to test us. Training went well with our first long run session being 12 miles. We upped the distance by a mile each week until we reached 18 miles. This seemed to work really well for us both. It also gave us the opportunity to find new training routes. Race day came and the weather conditions were pretty awful with heavy rain, sleet and snow showers. After a slight delay we were off along with fellow Clayton runners Donna Airey, Robert Morrison and Colin White. Race pace over the first few miles was much quicker than I’d planned, but surprisingly I felt good, helped by Donna’s company for the first 12 miles, before she moved ahead of me. Miles 15, 16 and 17 saw my pace drop a little as I began to doubt I could finish the race. I managed to get back to my race pace for the last 2 miles all the time telling myself you can do this. 20 miles came and no finish line in sight, (few choice words came out). The course was actually 20.3 miles long. So I gave it everything I had for the last third of a mile to come over the line in 2hrs 44mins 57 secs. Absolutely buzzing to have finished 50th out of 338. Thanks to Donna for helping me through the first half. Well done to Robert and Colin on your runs. Special thanks to Gary who’s been such a great training partner. For anyone wanting a 20 mile race as part of their marathon training I can highly recommend this race. Very well organised with great marshals encouraging and cheering you along. Plenty of goodies at the end too. 2nd U13G – Helana White;2nd U13G Team (Helana White, Amelia Halstead, Sianna Smith); 3rd U15G Team (Ella Dorrington-Levy, Imogen Ferguson, Hannah Eccles); 2nd Ladies Over 35 Team (Cassie Darling-Smedley, Michelle Abbott, Donna Airey); 3rd Senior Men’s Team (Ryan Bradshaw, Matthew Duckworth, Daniel Fleming, James Dunderdale, Alan Dorrington, Andrew Holt); 3rd V60 Man – Brian Horrocks. 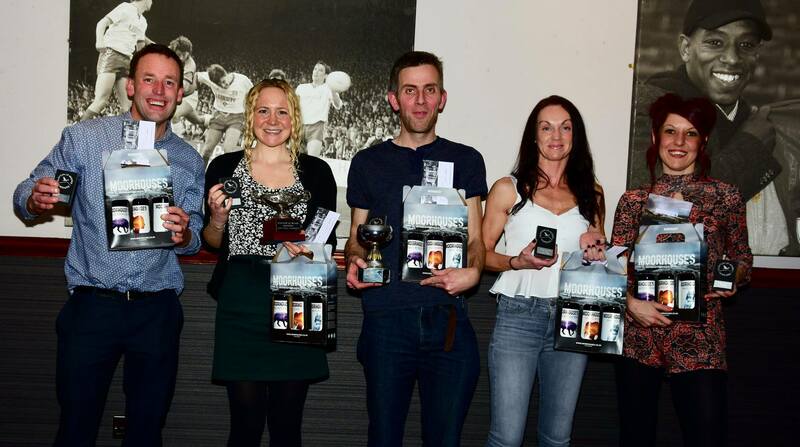 2nd MS – Andy Laycock; 1st M70 – Jack Holt; 3rd M70 – Kieran Carr; 1st F60 – Katy Thompson. 2nd in B Race – Peter Stevens. 1st Senior W60 – Irene Roche; 1st Senior M60 – John Roche. This entry was posted in Other News, Roundup by Helen Stevens. Bookmark the permalink.